Applications: Diluted in carrier oil for topical use. Diffuser. Pillowcase. Source: Blended in small batches in Winnipeg, Manitoba. Precautions: Avoid if taking sedatives and anti-depressant medication. Best avoided in pregnancy and breastfeeding. 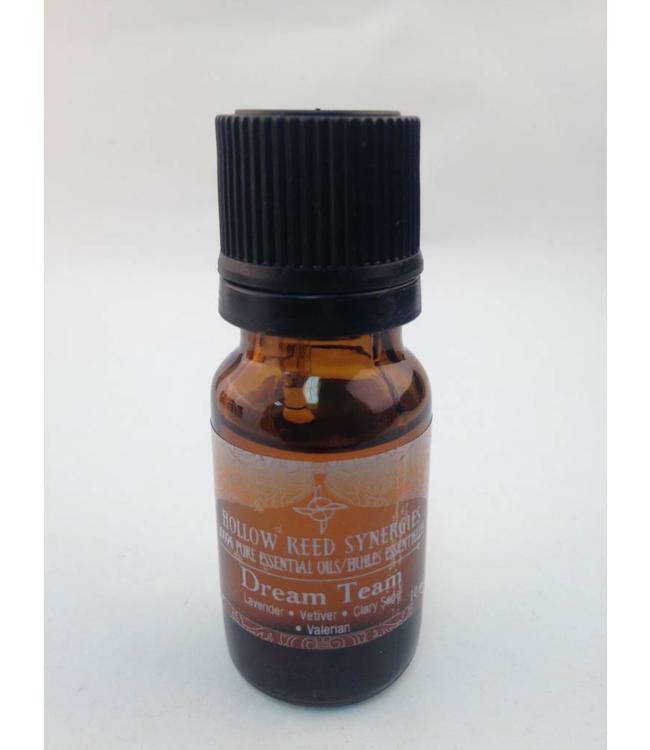 Dream Team is a blend of grounding and calming oils. Designed with the intention of adding to the bedtime diffuser, this blend can be diluted in a carrier oil and rubbed on the feet, added to a bedtime bath or anointed onto the upper lip, for deep breathing relaxation. Try full strength drips on your pillow case and see if your dreams guide you to peace and tranquility. Its a crazy world these days. You may find this blend is helpful for daytime anxiety and loneliness. For educational purposes only. This information has not been evaluated by Health Canada.